In our new series called ‘Favorite Things About Los Angeles’ we’ll be interviewing local influencers along with other touring musicians and artists about the things they like the most about the city of angels. First up, a quick chat with Australian indietronica band Miami Horror. Members Benjamin Plant, Josh Moriarty, Aaron Shanahan and Daniel Whitechurch took some time off while on tour for their latest album All Possible Future to spill the beans on where they hang out in L.A. and where they all go for some late night food. A favorite of local radio station’s like KCRW Miami Horror is influenced by dance pop music from the 1970’s and 1980’s as well as progressive rock and house music. With their dynamic sound they managed produce a unique electronic pop sound that makes you want to get up and dance. Abstract art using, shape, line and color. Is there something you always try to do when you are in Los Angeles? Best and worst part of visiting Los Angeles while on tour? We live here now so the best part is getting to sleep in your own bed. Can’t think of any negatives about the city actually! Favorite place to get a good drink in town? Bar Stella in Silver Lake has a awesome night atmosphere for a casual drink. And how about coffee shops? There are so many new coffee shops popping up, our current favorite would be dinette in echo park, how ever we live near Intelligentsia so that is our most common spot frequented. Do you guys have a favorite neighborhood in LA? Where do you guys go for a late night meal in town? Fred 62 in Los Feliz is open 24 hours! We have some pretty awesome bands out here doing really cool things. Any local musicians you are currently listening to? De Lux, amazing band we just had on tour. Are there any new artists you want our readers to check out? Both Cleopold and Queen Magic are two friends from Melbourne who just moved to L.A. and are about to release new music. 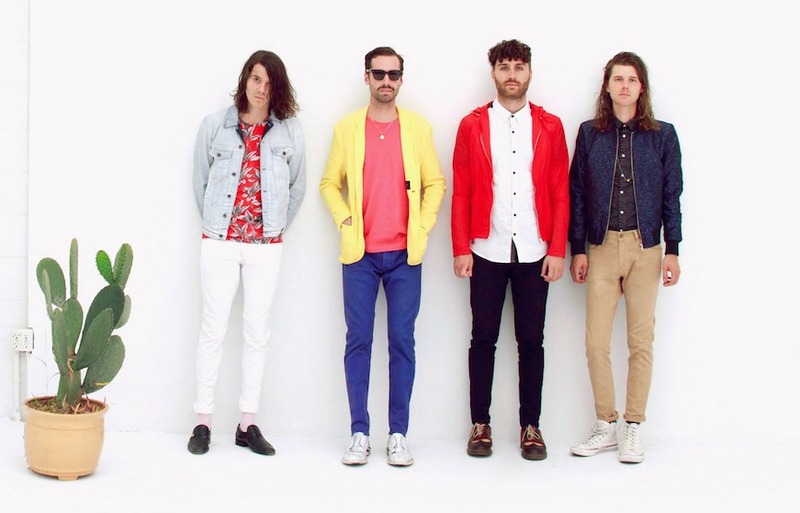 Miami Horror is having a DJ Set at the Wayfarer in Costa Mesa TONIGHT as part of the Modern Disco Ambassadors WAVS music series.